Previous post: Europe 2017 Travel Diary: River Seine, Paris. 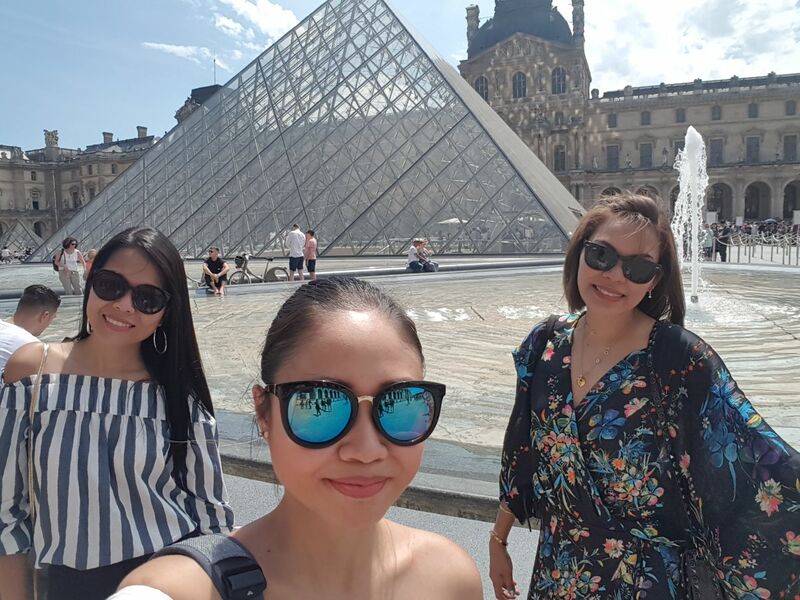 As we were (unfortunately) only in Paris for a day… we really did not have time to explore the Louvre Museum. Known as Europe’s largest museum, it contains thousands of works from all over the world and would take days to fully explore. 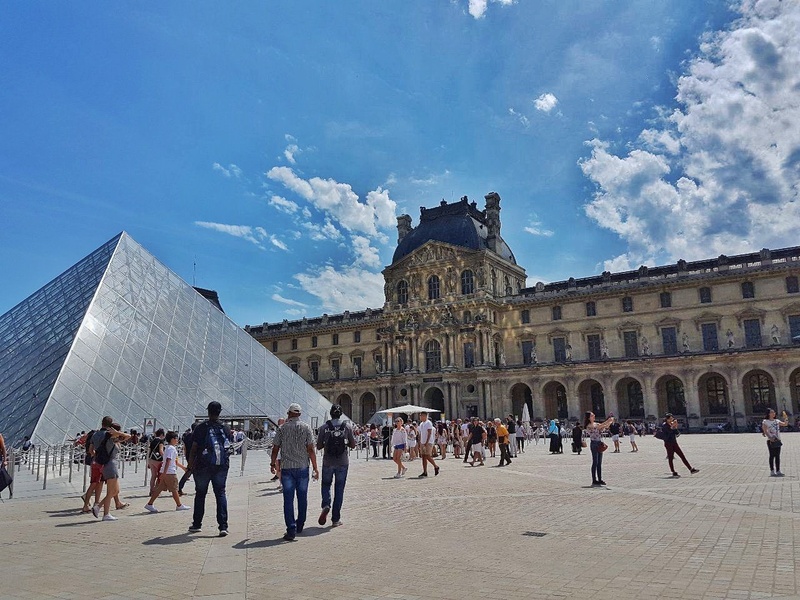 We did, however, still pass by the main courtyard to get a glimpse of the Louvre Pyramid — the large glass and metal structure which now serves as the entrance into the main Louvre buildings. 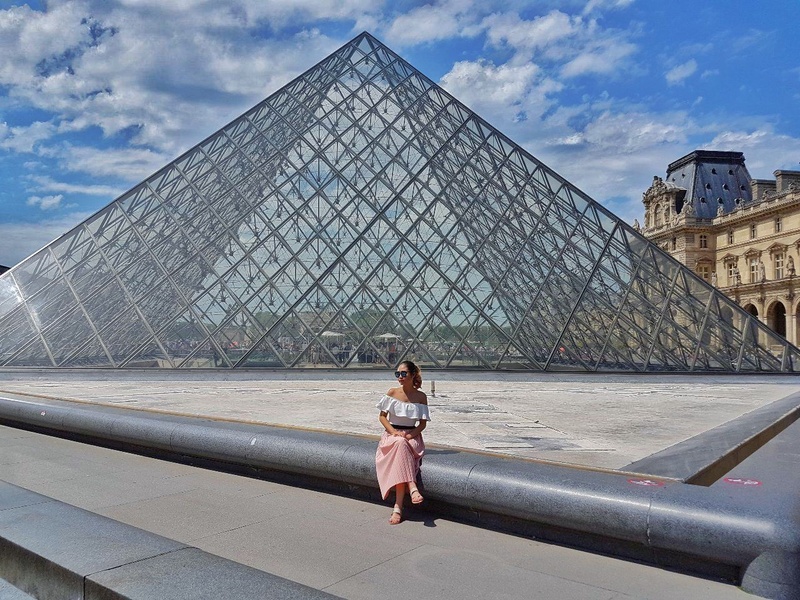 A number of controversies previously surrounded the building of the Louvre Pyramid. There were many who were unhappy that Chinese-American architect Ieoh Ming Pei, was tasked with the project by then President Francois Mitterand without a competition being held first. There were also those who criticized that its modern style did not fit in with the classic French Renaissance style and history of the Louvre. 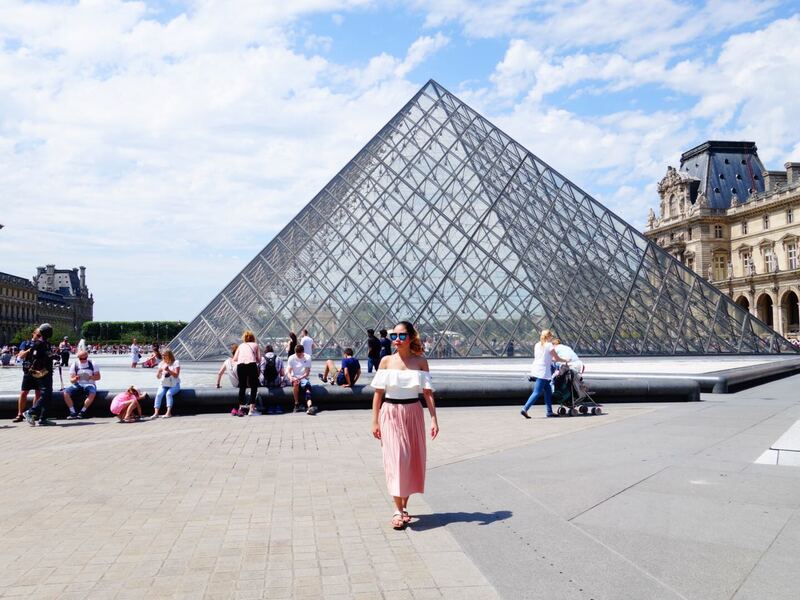 Fast forward to the present time… the initial contention it received from the general public has now somewhat subsided and it is now considered as one of the city’s most popular tourist attractions and a Paris landmark in its own right.